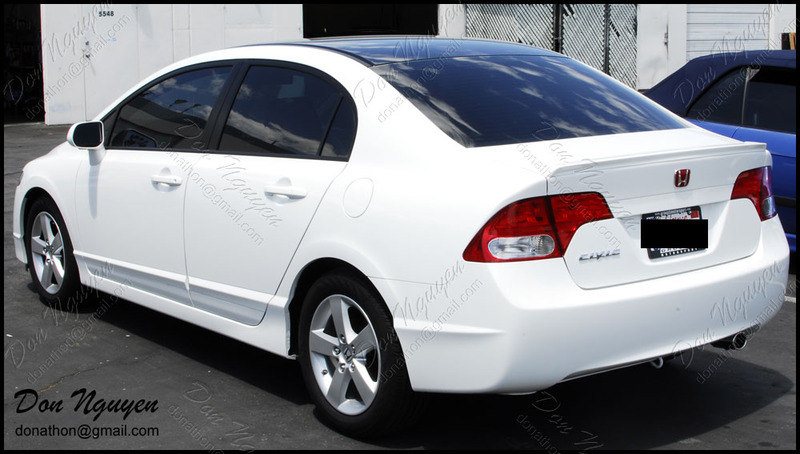 As much as I work on BMWs and Euro cars, I still also do get other manufacturers and makes that come by to get their roof vinyl wrapped or other vinyl related work done as well. 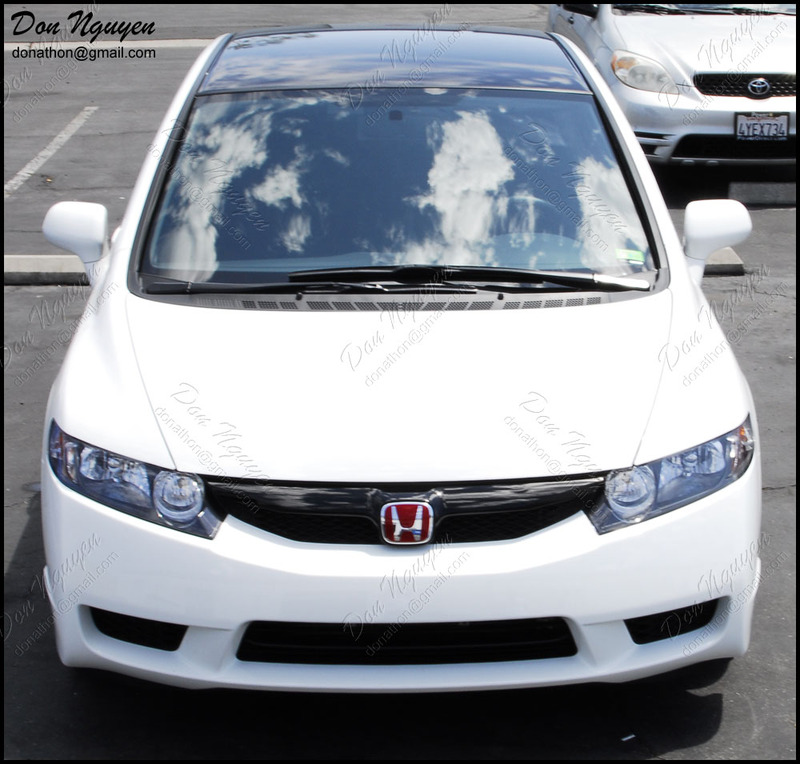 Here's a white Honda Civic SI that I vinyl wrapped the roof in my gloss black material. The owner of this car was around the Garden Grove/Orange County area, and came out to me in Anaheim Hills to get his roof wrapped. Decided to go with the gloss black vinyl finish over the matte black vinyl finish for his car, to give it a more factory/clean look.